ETA: Here is the NY Times review of Van’s NYC show. Just an observation….this review was all over the place. I couldn’t get a handle on if he loved it or hated it. Perhaps he just didn’t understand it. Shrew has reported in. Because of the wunderbar technology of the iPhone, I relentlessly bugged her by emailing, “Are you there yet?”, just about every 15 minutes. She let me know when she got on the train and again when they got to their seats. Who’s the ghoul in the forefront? And, about an hour later, this follow-up…. The Astral Weeks portion of the show was like good perfume. Heady, intoxicating and elusive, leaving you wanting more. Absolutely love the description. Saturday morning she sent me this final recollection of Sweet Thing…. Infront of a backdrop pinpoint lights, Van Morrison began to strum the hypnotic melody. Morrison is like a musical instrument of the muses and gods letting each note radiate outward from all of his being. He is at the same time; lost in the music allowing the audiance in on his deeply personal dance with each measure and very present, conducting his orchestra with minimal twitches and hand gestures. Each wave of music that emminated from Morrison on Sweet Thing, seemed to spread to each member of the band. The measures building to a soul filling swell seemed to swirl all around us. The sound was deeply familiar and yet spontanious. At one point I was transported to a younger self. I had the impression of a warm summer night watching the song unfold under the cover of stars. Ah yes. As it should be. First, I have to admit that I was not a huge Van Morrison fan. No dislike, just uneducated. I love the Moondance album and have always loved his voice, I just never actively pursued his other music. I was even a little leary because I enjoy concerts the most when I know a lot of the songs being performed. Before a few days ago, I had never ever listened to Astral Weeks. So shoot me okay. I remedied that by an itunes emergency download and played the album a a bunch before the concert. Beautiful music, but I still wasn’t sure how the concert would go for me. I even told the hubby that we couldn’t eat too big of a dinner or have too many glasses of wine because I wanted to stay awake. Little did I know. I’ve been to a lot of concerts over the years and have been wowed and disappointed. Without sounding over the top here, I’ll try to explain the experience. As I said above, Van Morrison defines the term “a voice is an instrument”. Truly a genius at his craft. He changes up the songs to fit the moment. He directs the band with hand signals and called out instructions and it all flows so damn smoothly that it’s almost unreal. It was 2 1/2 hours of musical bliss. It didn’t matter that I did not know all the songs. At the risk of sounding corny and cliched(sp), I would have been happy if he sang and the band played the damn phone book. First time I’ve ever said that. The band was amazing – really amazing. I want to marry the violin/fiddle player. At times he played a violin virtuoso, other times some of the best country fiddle. At one point – and I wish I could remember the damn song – Van and the trumpet (I think) player did this echo thing. Van would speak/sing the words, with the other guy following one step behind. The only way to describe it simply would be sort of like “row, row, row your boat”. It was awesome. Maybe some of the educated Van fans can help me out on what the song was. After the first set, we were told there would be a 5 minute intermission. WTF? 5 minutes. I’m wondering if that was his idea. The funny part of this was that there was the usual women’s room line 5 miles long. I had to go, so was set to miss the first few numbers of the next set. There was a woman attendant in the ladies room Demanding that the women move. “Come on ladies, just pee and get the hell out of there. Mr. Morrison’s gonna be singing soon. Move it, move it, move it.” She marched those women through there like a drill sargeant. I want to hire this woman to be at every concert I attend from here on. It worked. I was back in my seat as the beginning chords of the first song were played. Really, this woman needs to be knighted or something. The second set was Astral Weeks in it’s entirety. Not one minute of the concert was anything less than pure musical magic. The audience sat quietly and LISTENED instead of jumping around, singing along and carrying on. That was so damn refreshing. I go to concerts to listen. Dance around and sing along at home when you won’t ruin anyone else’s experience. Really, you could hear a pin drop during the entire performance. PERFECT. And people remained seated and just gave standing O’s at the end of songs. It was almost like the audience was in awe and since I was, I bet they were too. On a side note, a few strange things. Shrew, was this your experience? When we got there we were informed by event employees that they had just stopped serving alcohol by request. What? Not a big deal, but strange. This was not a rowdy crowd. As we walked through to get to our seat, all the bars were putting the bottles and glasses away. So they were already set up to serve drinks and all of a sudden shut down. Then the 5 minutes only intermission thing. Perhaps a crotchety Van request at the last minute? “These people came hear to hear me sing and play and I want them in their damn seats and not wandering around getting drinks and going to the bathroom”. During the entire performance, I did not see one person get up to go to the bathroom. Really. So, on to the songs. I did not take a pen and paper to write down the set lists. Too much work to interrupt my enjoyment. The ones I remember are Domino, And It Stoned Me, Brown Eyed Girl, Gloria, Listen to the Lion and a truly amazing rendition of Floyd’s Comfortably Numb. Seriously – Comfortably Numb. It started with a female back-up singer and was hauntingly beautiful. I think I like it better than Floyd. He also did a song that I know was a Ray Charles country song. I know he’s recorded I Can’t Stop Loving You, but it wasn’t that one. I still can’t believe that I can’t remember what it was. Again, shrew – any help here since I know what a big twang fan you are. I’m still scouring the internet for a concert review or a set list. The second set was Astral Weeks and some other stuff too. I think I remember almost all of the songs, just not what order. The Healing Game was in there too. And we were also graced with two encores. Let’s just say that I was utterly and completely WOWED. As a side note. I’ve been doing a lot of research today of Van’s stuff (which you true fans already know). The man has covered the entire music spectrum. Which got me to thinking. I’ve read and heard other artists say that their album “will have a Van Morrison feel”. Not knocking any other artists here, but that would be totally impossible. Which Van Morrison? There is no Van mold as far as I can tell. And MM, he did a beautiful rendition of Sweet Thing just for you. Yea, I guess I’m a fan now. Awesome. Thank you both for the great descriptions and sharing your Van encounters. You both got to experience one of the truly original masters of modern music. So wonderful that he’s still making music that he shares with fans old and new. P.S. Little Deb, could the song have been What Am I Living For? Have I Told You Lately That I Love You, Van? It’s been a while. Have you missed me? Are you cross with me? I never meant to neglect you. After all, you are so very important to my musical life. I know I talked about Into the Mystic and The Movie Hits months and months ago, but I haven’t told you lately that I love you. Well, I do. Tonight, in Madison Square Garden, a Music Maven proxy will be front and center to hear you deliver the sweet nectar of Astral Weeks. While I will be thousands of miles away watching soccer on the Internet, please know that I will be there in spirit. And, I promise to give you more of the attention you deserve. So did Van the Man. Because I feel like it….and it’s in my Top 10 all-time favorites. Not the easiest song to cover, but this is the best one I’ve heard. 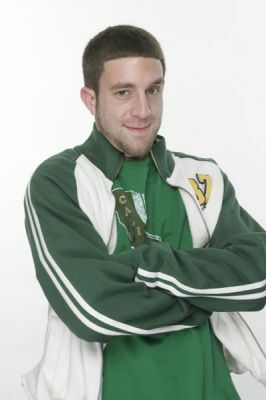 I had been planning to give a review of Van Morrison’s new compilation, The Movie Hits, when my good friend, NOLAGirl suggested that I give a listen to Elliott Yamin’s new self-titled CD. So, I’ve decided to do both. 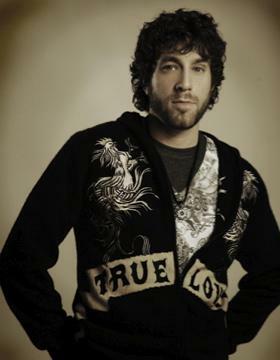 The Elliott Yamin review is first, followed by Van the Man. Likely the ONLY time that’ll ever happen. 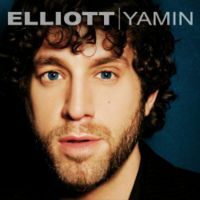 First, let me say that Elliott’s style has never been something I liked or gravitated to, however I did like a few of his performances on American Idol, particularly A Song for You (included on this CD, as well). However, like many R&B singers he “over runs” the song with vibratos and whatever you call the running up and down the scale. I know folks will say that that’s the way R&B is supposed to be and maybe so, but it’s just not my cup o’ tea. I prefer to just hear the voice without all the gyrations of notes up and down. It’s not that hard to listen to, just not something that compels me to “power listen”, i.e., obcessively play in the house, car, and at work until I know the CD forward and backward. There’s something about Elliott that’s bothering me. While I’m all about “making the most of what you’ve got”, his transformation from a year ago is a little eerie. A bit plastic. And these don’t even show the “Extreme Makeover” of his teeth. 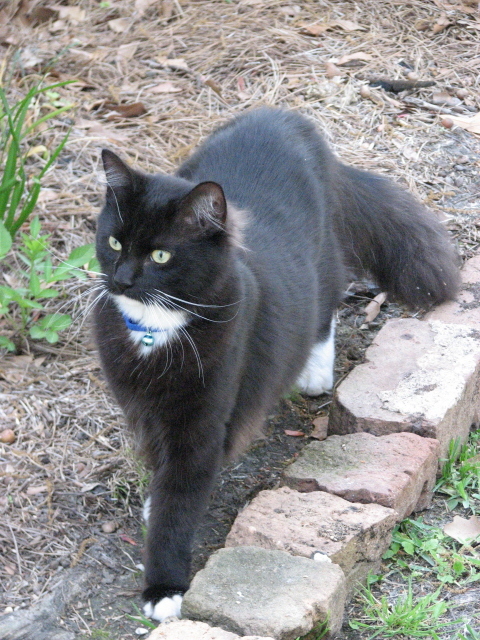 While he looks great, he just doesn’t look like Elliott anymore….at least to me. Movin’ On is the first release and I like the beat. Find A Way Good beat with a “Stevie Wonder feel” and a bit of a protest. Free Great “groove” song…message here? A Song for You The Donny Hathaway anthem that Elliott, so richly did on “the show”. I love this song, in general. Elliott’s phrasing is a little rigid but, all in all, it’s good. Lastly, here’s Elliott’s first video and new single release, Wait for You. OK. I think this the CD, overall, is a quality release. After all of the hand-wringing by his fans, his patience and taking time with this release pays off. I’ve not purchased an “idol” release outside of Taylor Hicks and if it not for this review, I likely wouldn’t have purchased the CD, but may have bought one or two tracks. However, he should do very well in his “genre”. 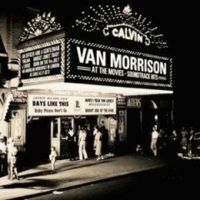 In February, Van released 19 tracks from “The Movies”….his songs used in movies. I have to admit, seems as though I hear Van’s music everywhere, but especially in the movies. In the following track listing, you can see the numerous movies that has included a Van song. I’m sure that not all are mentioned, as the first I ever heard of Van Morrison was from the song Into the Mystic in a movie called “Immediate Family” starring James Woods, Glenn Close, Mary Stuart Masterson, and Kevin Dillon. The story is about a childless couple trying to adopt a baby from a teenage couple, but I digress. In the middle of the movie, I heard Into the Mystic and watched until the end and the credits so that I could see who it was. Then, I went out (yes, to the Mall) and purchased Moondance and my music life hasn’t been the same since. Here is Caravan with The Band from “The Last Waltz”. Superb. Here’s a live performance, for good measure…. Fun, musical and ALL Van. In the movie, “The Matchmaker”, with Janenne Garafolo, Van’s Irish Heartbeat is featured. Great acoustical tune with Irish flutes. LURVE this tune. Brightside of the Road Whimisical, wonderful tune from the Jimmy Fallon/Drew Barrymore flick, “Fever Pitch”…..nice. Great little bit of harp. A personal favorite from “One Fine Day” with George Clooney (mmmmm…..) and Michelle Pfeiffer. I love this movie and the ending with Have I Told You Lately is perfect. Lastly, to bring it full circle, here’s the YouTube and the CD live recording of Into the Mystic. In case you haven’t guessed, I am a HUGE Van Fan. I’m biased, so sue me…..